Charcoalblue is a global theatre consultancy that provides specialist advice and design scopes for iconic venues and auditoria across the globe. The company was formed in 2004 by architect Gavin Green, lighting and sound designer Jon Stevens and theatre consultant Andy Hayles. Since opening its head office in London, the practice has rapidly grown to five offices in Bristol, Glasgow, New York, Chicago and Melbourne. Charcoalblue aims to improve the internal and public spaces for live performance – for audiences, actors, musicians and technical staff. Its scope of work includes a number of West End and Broadway theatres, rehearsal spaces and music facilities. The firm is a collective made up of architects, engineers, lighting designers, sound designers, stage and production managers, set designers, acousticians and digital designers. 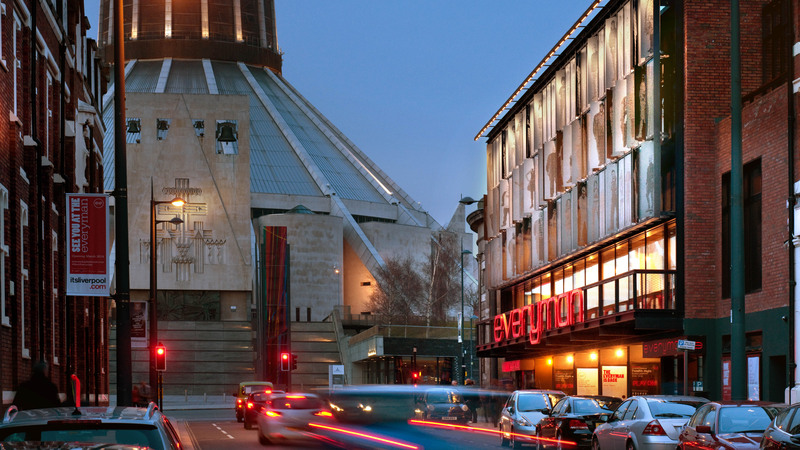 In 2014, the company teamed up with regular collaborators Haworth Tompkins to create the Stirling Prize-winning Liverpool Everyman Theatre (pictured above).